So one thing that we haven’t really talked about is ecommerce. Today I want to provide you with a Salehoo review to give you some insight for those bloggers that are considering the option to sell physical products associated with their blog(s). Essentially exploring the possibility of transitioning or delving into developing an ecommerce website to generate revenue but are also struggling with the problem of finding products and suppliers which is basically the bread and butter of Salehoo. With that said, let’s be brutally honest. If you’ve been reading my blog for any time at all, you know I’m all about adding value to what you do and won’t share something with you if it’s going to be a waste of your time. Who wants to spend money when they don’t need to ? Before I get into this review, understand that purchasing Salehoo depends on your level of experience with ecommerce, ecommerce platforms and an ecommerce website. Plain and simple, if you’re “new” to ecommerce, Salehoo makes a ton of sense. On the other hand, if you’re experienced and know your way around ecommerce, you don’t need Salehoo. So to clarify even further and to help you avoid investing in a product you may not need, I will say this again.. if you’re a newbie to ecommerce, Salehoo is extremely helpful and the way to go to get your feet wet. Salehoo makes sense to me only for those individuals and bloggers that are new to ecommerce. Nevertheless.. without further delay, let me explain more about what it is. Oh and one more note, I won’t be covering this as in depth as I have with other products I’ve reviewed, but hopefully I would have provided enough information to help you make an informed decision by the conclusion of this post. Salehoo is a wholesale supplier and product directory. They are an access point for information that (1) yes you can find online without their help, but (2) Salehoo consolidates all of the information for you so that you don’t have to waste endless hours online looking for products to sell or for suppliers that “most importantly” have already been vetted so you know you’re avoiding the pitfalls of doing business with the fake and scam suppliers that are out there. If there’s one commodity that we can never get back, that commodity is time and Salehoo will save you a lot of time searching elsewhere for the same information they have provided you with in the Salehoo website. When you join Salehoo for less than nineteen cents a day which will be $67 a year with their 60 day money back promise they offer you’ll be greeted with quick tour information to find suppliers and products. Additionally, within each of these categories is a greater breakdown so things get even more specific. You should start thinking about what categories align well with what you blog about on your website that you think you might consider selling through your e-commerce website store either hosted on your own website or through other retail gateways like Ebay and Amazon ? A Salehoo membership also gives you access to their Market Research Lab. In the following image (seen below), I’ll point out several important aspects of this to pay attention to. You can filter by category.. that’s over 30 of them to drill down as you search for your product. You can filter by success rate (how successful is this product at getting sold). You can filter by average price. You can filter by level of competition which is very important for finding the products that are basically your gems amongst the sea of products to choose from. The email ideas is basically just an export tool connected to the filters you’ve set. As you can see, I’ve set my success rate at 80 percent. I’ve set the average price of items I’m looking for between $110 to $210 and I’ve also set the competition level to low. There are several items that the Market Research Lab brought back from the filters I set but you get the picture for item ideas that Salehoo can generate for you with real data that you can use to gauge your decision as to whether you want to contact suppliers so that you can resell these items for profit within your own ecommerce stores. Let’s take a break for a minute and get to one real issue that is the heart of the matter for many. Regardless of the ecommerce platforms you may consider, starting an ecommerce website or store sounds great but you’re thinking that you don’t know the first thing about starting one right ? Well first thing is first. I have said this before to the point of harping on this fact. At some point you’ve got to stop reading and just simply take action and not be afraid of making mistakes. Understand that you won’t be perfect out of the gate and once you are okay with that reality then I think you’ll be well on your way to being successful even though this is something that is completely new to you. Within your blog you’re already talking about products, however being able to buy them at wholesale and ship them to people on your mailing list or people that visit your website provides an entirely new revenue stream which is plain awesome whether you’re selling through an Ebay gateway, Amazon or directly through your own website. All of this information is provided in addition to complementing their wealth of resources with their own forum and blog that is also very insightful and helpful too. Another added benefit in this review of Salehoo and what it means to have a membership with them is the reality that when you know what you want to sell, you don’t have to go out on your own looking for suppliers. 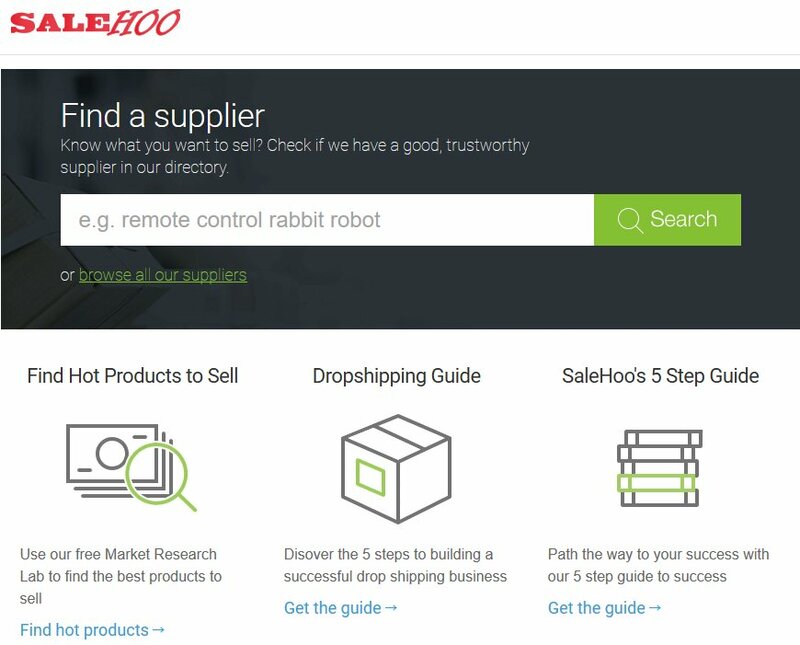 Salehoo has already done all the heavy lifting here by ensuring through their own quality standards process (their own proprietary verification process) that you are dealing with authentic suppliers that have already been vetted by Salehoo itself. More in depth information can be found within their forum about the suppliers associated with them too. Salehoo even adds to their transparency but showing you how active they are in listing their most recently added suppliers on their homepage (as seen below) before you purchase a membership. The Salehoo membership is the least expensive that you will find amongst it’s competitors that provide similar information for 3x’s what Salehoo charges (pretty incredible but it’s true) ! The last point that I will make is that maybe you’re the kind of person that doesn’t want to get all the information on Salehoo and then be turned off because you’ll have to start your ecommerce somewhere else. While it was not covered in this Salehoo review, please understand that Salehoo also provides access and features to be able to create an ecommerce store within their website as well. 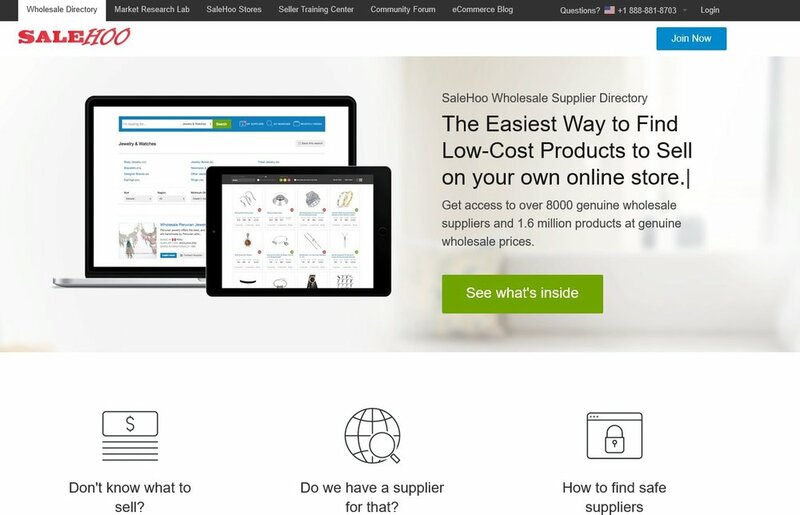 While it is a separate fee schedule, everything that you need from products, to research, to supplier information to creating the store is all consolidated into one nice package all within the Salehoo website and your membership.